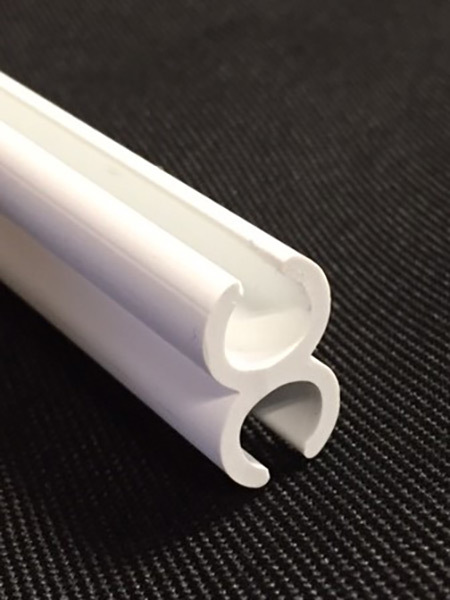 Rigid PVC rail that is used to connect two pieces of fabric. This rail accepts 5mm, 6mm and 7.5mm Keder. Standard length is 9’8”. Cut to size upon request.